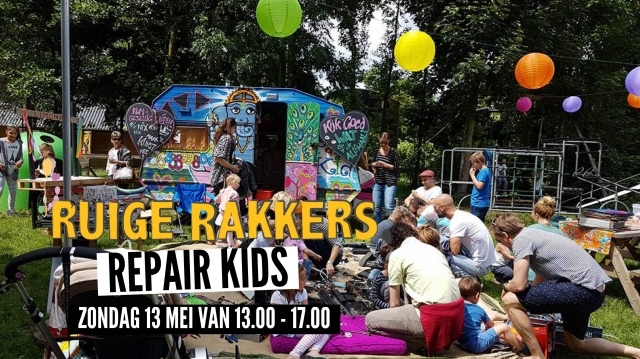 Repair Kid is a traveling bus (transformed camper) that gives children the space to investigate how devices actually work, by giving them the opportunity to demolish them. This is done with tools and under supervision. The intention is for the children to make art with the remnants, to show that absolutely nothing needs to be thrown away.